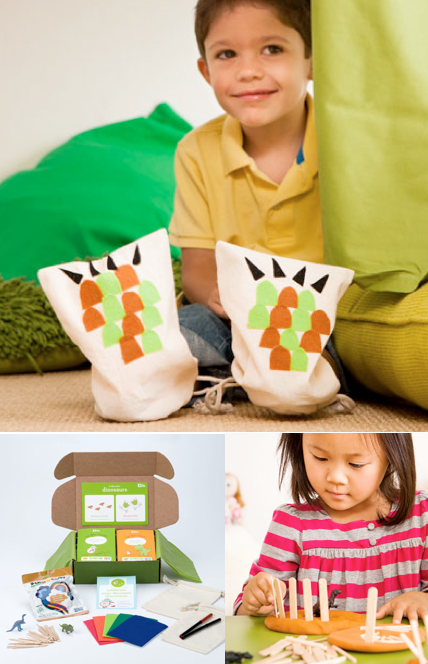 Kiwi Crate: Creativity for Kids Ages 3-7 + DM Readers Get Their First Box for $9.95 Shipped! A few months ago I signed up for Kiwi Crate, a new monthly subscription service that sparks creativity and curiosity for kids ages 3-7. Each month, your child will receive a crate filled with all the materials and inspiration needed for hands-on fun, like art projects and science experiments – delivered right to your door! We, of course, thought the idea was brilliant! The kids love the projects that come in the boxes each month, and I love that the box comes filled with everything you need to do the projects, including paint brushes, glue, scissors, markers etc. Right now DM readers can score $10 off when they sign-up, which means you can get your first box for only $9.95 + Free Shipping! Simply head over to Kiwi Crate via this link and you’ll get $10 upon sign-up that you can apply to your first order! Of course, you can cancel at anytime and you are in complete control of the process! Head over to Kiwi Crate now and get your first box for only $9.95 shipped! 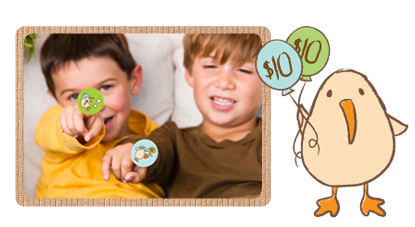 Baby Lulu, Little Maven, Tadpoles & More at Hautelook!